Long gone are the days of home based games consoles being the leading video game portal. Now, that dominance has been met and overtaken. By the smartphone. 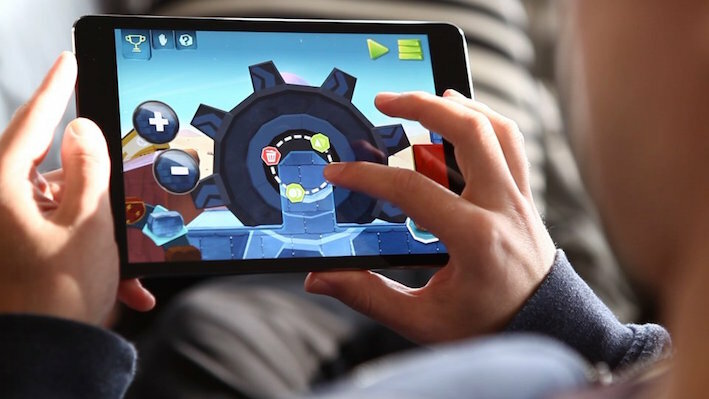 Mobile gaming stats now show that games for mobile, even freemium titles (those for which you pay nothing to own), generated a total of $99.6 billion in revenues in 2016, up 8.5% compared to 2015. For the first time, mobile gaming will be worth a larger share than gaming for the PC with $36.9 billion, also up globally this time by 21.3%. This raise, also includes films, TV and video games for consoles who have also been beaten back by mobile gaming. One of the primary reasons for this is that mobile phones are a thing that just about everyone has on them at all times these days. This provides players with the opportunity to play games anywhere they want, just by reaching for the phones, for the most part regardless of their present situation. Some games can be played off-line, and even those that can’t need only a public Wi-Fi connection and they’re fine to run. This extends to public transport, bars and restaurants, coffee houses and, for the brave among you, at work. Even for those of us who aren’t natural gamers, there is little reason to be put off. As easy as it is to find games, downloading them to try is safe, especially those that cost nothing, as they are easily deleted. Even senior citizens find this to be simple. This popularity has allowed all game types to attach themselves to the wave. Like, for example, online gaming. While this is an industry that has come into conflict with the laws in some countries, not least our neighbours to the south, internet gaming, by which we primarily mean online casinos, poker rooms and bookmakers, where permitted, are flourishing as well as any other type of online gaming. Fortunately for Canadians, we fall into the liberal bracket where gaming is concerned, and we are free to play at any online casino we choose, against players from other countries and even for real money. (So you feel like you actually at the casino) But this is merely a sub section of gaming. There are so many other titles out there. Just scroll through your relevant operating system’s store and check out the absolute wealth of great games to download and try. So popular are some of these titles that they have almost taken over reality. In the summer of 2016, Nintendo’s Pokémon got an augmented reality release for mobile meant, all around the world, kids and adults were to be seen hunting for the little Japanese sprites. Augmented reality meant that virtual representations of the Pokémon would appear in real life situations and, armed with the mission of catching them all, users would need to keep searching for exactly that. Under threat for the first time, game giants like Nintendo are biting back and reacting to the mobile threat. Already released for iOS and soon to free up on Android’s Play Market, Super Mario Run, their first real mobile game, not counting the aforementioned Pokémon or Miitomo. Mario is certain to do well but, even with a new console system, The Switch, being released in the first quarter of 2017, the Japanese giant, Nintendo, still believes it is important to honour the mobile market too. There can be no clearer example of the position of influence that mobile gaming now occupies than that. The success the games have enjoyed can be attributed to convenience to acquire, play and operate. All of the above can be done any time of day, anywhere in the country and by anyone in society. That, and a range of games that runs from shoot’em ups to strategy games, through to puzzles and sporting sims, plus tower defense games and play or real money casino games like poker and slots, there is a vast selection that leaves something for everyone. With all of that in mind, it is easy in the extreme to understand why mobile games are doing so well. They cost nothing and can be accessed during people’s most boring points of the day, when they are in need of mental stimulation, like the commute to work or waiting in a long queue. Because of this, and the easily deleted factor, the perfect business model has been created where people are highly likely to tray a game on nothing more than a whim, leader to greater access of product and, crucially, makes it an appealing project for marketers who then monetize and product and make it profitable. This is turn means that games can remain cheap or free and again means that people are more likely to try it and the whole process keeps revolving. This is how the business had climbed to the top and, now that it is there, it is hard to see who can stop the rise of mobile gaming, or why they would even want to.